Product Lines | Diversified Plastics, Inc.
DPI Trash & Recycling Plastic Containers are a sustainable option for waste and recycling companies who desire a durable and maintenance free product. DPI plastic commercial waste containers are lightweight, durable and low-maintenance, delivering superior functionality and aesthetics, compared to conventional steel and aluminum commercial dumpsters. Our commercial dumpsters are ideal for a variety of industries and applications. The durability and corrosion resistant properties of the commercial recycling containers, allow them to be virtually maintenance free and withstand harsh weather conditions. Our commercial recycling dumpsters made of plastic are built to last and able to be customized to your specific needs. DPI Material Handling Plastics Carts are a sustainable option for a wide range of uses such as hotel laundry carts. Lightweight, durable and low-maintenance, DPI material handling plastic carts deliver superior functionality and aesthetics. We offer large and small utility carts with wheels, custom bulk linen carts, spring platform trucks, and a variety of other industrial plastic utility carts. DPI Industrial Plastic Products are a sustainable option for a variety of applications and industries, such as the construction industry. Our Industrial Plastic Products are rustproof, rugged, and low-maintenance, which creates superior functionality and aesthetics. Our plastic traffic control barricades, poly drums, and column protectors are used widely throughout many industries. NEW PLASTIC SPA STEP PRODUCT! 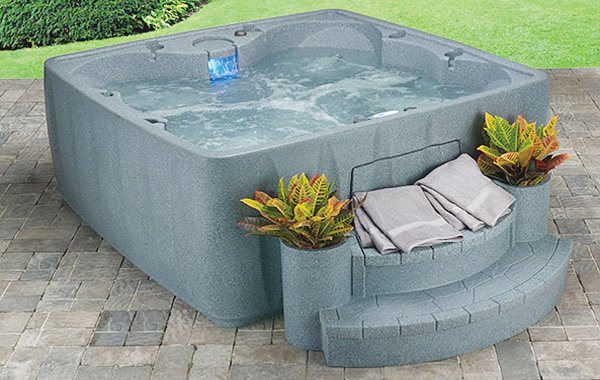 Diversified Plastics, Inc. also offers Plastic Spa Steps which are used for a variety of applications, such as spas, pools, workshops, and boats. We offer both short and long plastic spa steps for your specific application. Our short spa steps have a dry storage compartment underneath the top step for storing chemicals, towels, or anything else you desire. 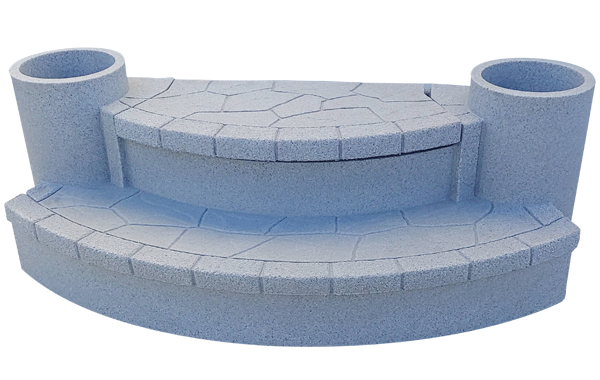 Our long spa step also has this compartment as well as dual cylinders on the sides of the steps that can be used as planters or a wine bucket.